Sitting on a 733 foot promontory above the Columbia River, the Vista House is a landmark of history, architecture and scenic beauty. 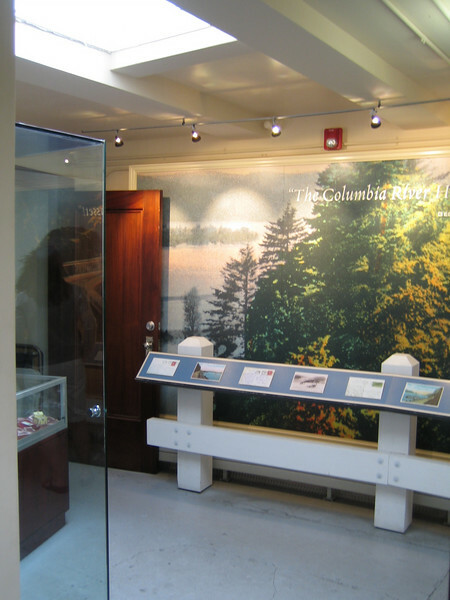 It was originally built in 1916 after the dedication of the Columbia River Highway as a rest stop along the scenic route. Both the highway and the house are within a National Historic District and are a National Landmark. The Vista House at Crown Point was recently restored with the help of Transportation Enhancements, National Scenic Byways Program, and Federal Lands Highway Program awards.